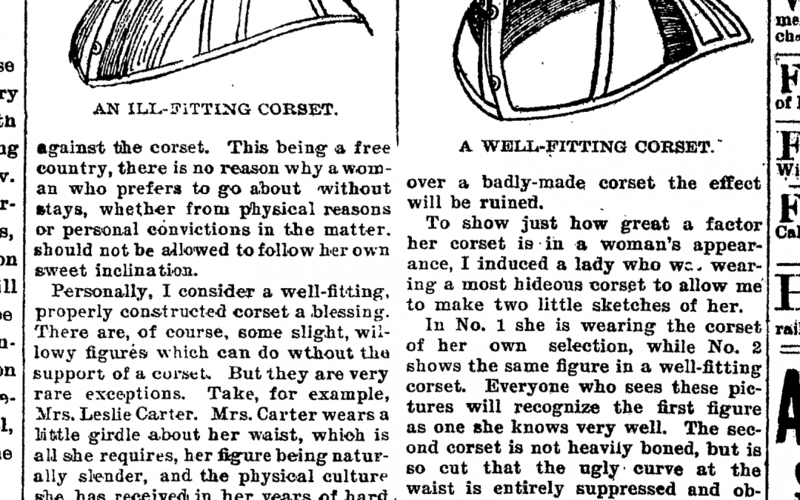 A “helpful” corset guide was posted in the Geneva Daily Times on November 22nd, 1900. It discusses how to choose a properly fitting corset, and through the rhetoric of the article, the stigmas attached to wearing an ill-fitting one. To view the full page, click here.